Rocket Matter Knowledge Base Rocket Project Management (NEW! 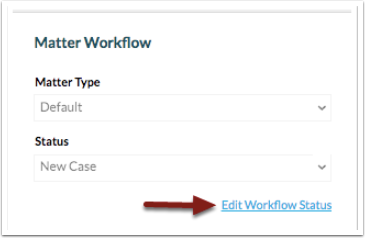 )How do I undo a matter workflow status change. 3. Click 'Undo last saved change'. 4. 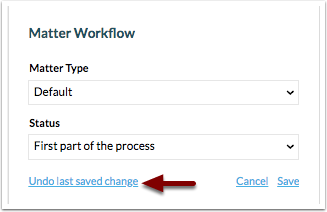 The matter workflow status will now be the status it was prior to this change. After refreshing your browser, the matter stream will reflect these changes and who made the change to the matter status. Prev: How do I change the matter workflow status. Next: Is there a report to see all matters that have a workflow status attached?